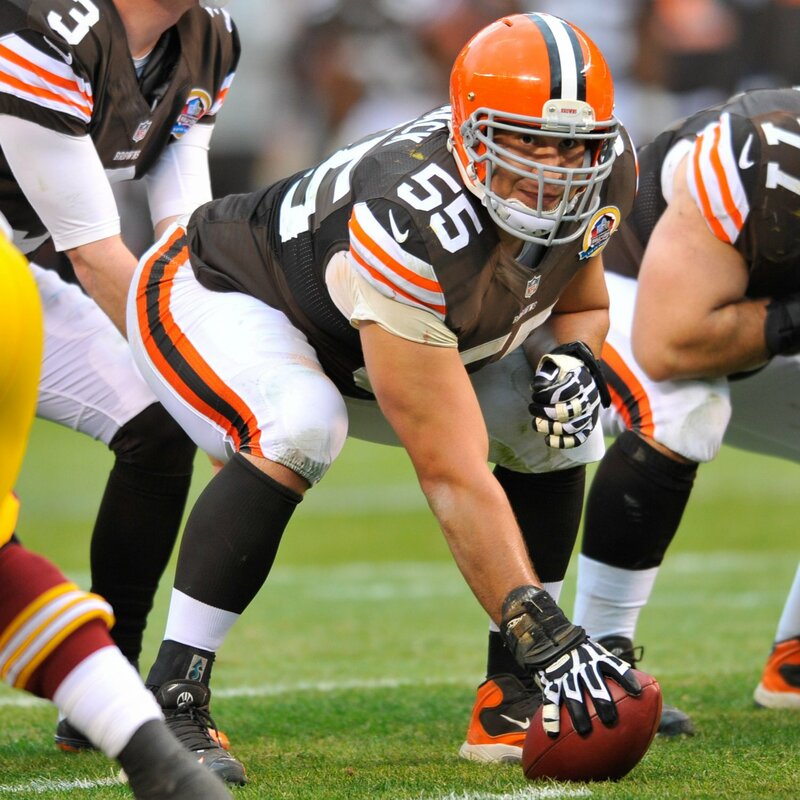 Good news out of Berea on Monday as the Cleveland Browns placed the transition tag on All Pro center Alex Mack. If the Browns don’t reach a multi-year deal with Mack, he will play the 2014 season under a salary of $10.039 million. The only downside to tagging Mack rather than working out a new deal now is that other teams can still make him an offer once free agency begins on March 11. If that were to happen, the Browns would have five days to match any offer for Mack. The risk of that happening seems small, however, as the Browns have the second-most cap space in the NFL, so it would be difficult for another team to create an offer that the Browns would be financially unable to match. And throw in the fact that by using the transition tag, rather than the franchise tag, the Browns would not receive a draft pick compensation if Mack were to leave, and it seems like the Browns have plenty of motivation to keep Mack in Cleveland at least through the upcoming season. It’s a good move by the Browns as Mack is one of the best centers in the NFL, even if he is a bit under-appreciated in Cleveland. He hasn’t missed a game in five years – even playing while suffering from appendicitis – and along with left tackle Joe Thomas gives the Browns a solid presence along the offensive line. As for what this means for safety T.J. Ward, that remains to be seen. The Browns have been linked to Buffalo safety Jairus Byrd, who was not franchised by the Bills on Monday, making him a free agent. Byrd has been to the Pro Bowl three times during his five years in Buffalo, and leads all active NFL safeties with 22 interceptions since 2009. We mentioned on Sunday how nice it would be for the Browns to have a safety tandem and Ward and Byrd, but depending on the price that may not be possible. There is also the chance that the Browns will wind up with neither player if they can’t work out a deal with Ward and Byrd decides to go elsewhere (or doesn’t want to come to Cleveland in the first place). The Browns know Ward better than anyone, and he knows the team, and there are still several days until free agency opens for real on March 11. There is still time to get something done. The Browns got it right with Mack; let’s see what they have in store for us next. Much was made last summer of Arsenal’s bid to lure Luis Suárez from Liverpool by triggering a £40 million buyout clause in his contract. Liverpool resisted the buyout, claiming that no such clause existed. Well, turns out they were playing a bit of gamesmanship with the Gunners. 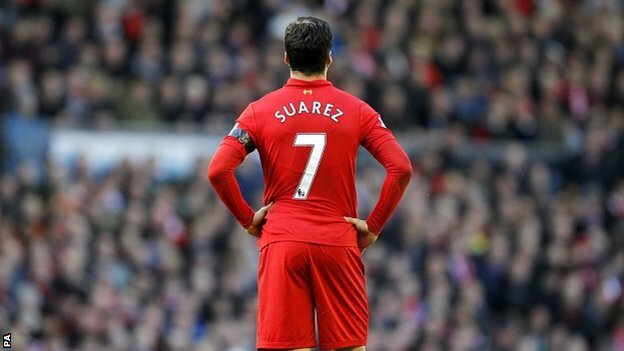 John Henry, Liverpool’s principal owner, appeared at the MIT Sloan Sports Analytics Conference over the weekend and said that the clause actually does exist, but Liverpool simply decided they were not in the mood to sell Suárez. Apparently things are “different” in Europe when it comes to contracts. “Luis Suárez is the top scorer in the English Premier League, which is arguably the top soccer league in the world,” Henry said according to The Guardian. “He had a buyout clause of £40 million. Arsenal, one of our prime rivals, offered £40 million plus £1. What we’ve found … is that contracts don’t seem to mean a lot in England – actually, in world football. Well played, John Henry. Well played.